wenkins 6 years, 11 months ago. Arrrgh!! i just realised my Bitters, although alcohol free, contain glycerol. Is this bad?? Should I stop taking them? Panic over – it was glycerINE not glycerol. Phew! Chilli wrote: Panic over – it was glycerINE not glycerol. Phew! Glycerine, glycerin and glycerol are all the same thing. It’s what you mainly use for energy during a low-carb diet. Fat (triglycerides) are broken down into three fatty acid molecules and one glycerol molecule, which your liver converts to glucose. I assume it’d do the same with any glycerol you consume, but I don’t know how it would affect candida. Ahh ok, thanks. Hmm well I’m assuming its ok to take still, eek! Javizy wrote: What I’m asking is how the bitters prevent the water from interfering with digestion. It seems to be common knowledge on the forum, and you’ve said yourself in other posts, not to drink water around meals. Doesn’t this make taking the bitters a problem? Experiencing a sweet taste with the bitters shouldn’t make much of a difference if any. The two receptors (sweet & bitter) are in completely separate areas of the tongue. The bitter taste buds are on the very back of the tongue which is why you should drop the bitters there, and the sweet taste buds are on the very front of the tongue with an area in between that contains very few taste buds. The sour taste buds are on both the left and right sides of the tongue. So as you see, you may taste the bitters somewhat differently on different sections of the tongue, especially if the bitters you use have both a sweet and bitter taste. Water and digestion; to be honest, this is another somewhat complex situation that I’ve avoided trying to explain in the past. When it comes to drinking water before, during or after meals, as long as our body has the ability to produce the at least part of the stomach acid that’s needed, the water shouldn’t present a problem. The problem comes in situations where the stomach acid isn’t produced in sufficient amounts, this is unfortunately the case with a few Candida infestations. If the stomach is capable of producing stomach acid, then it will simply secrete more acids to compensate for any the dilution that the water may cause. Toss a dry tea bag into an empty cup and what happens? Nothing; because the components that create the specific taste are still bound in the tiny pieces of tea leaves. But add some water to the cup and the compounds, including the essence of the herb, will start to be extracted by the water. Slowly more components are extracted until the water is saturated and these soluble components of the tea are now part of the water itself. So with this picture you can imagine how water also extracts the vitamins and minerals from the food we eat for digestion, in addition, it also makes it possible for them to be absorbed into our bloodstream. I suppose the bottom line is, if you’re going to take the digestive bitters, then you also need to drink water afterwards because part of their benefit is to flush out the liver meaning they release built-up Candida toxins in the liver. You don’t want to wash the toxins out of your body, so you need the water to do that. According to my own experience, as well as several testimonies from forum members in the affirmative, to conclude that digestive bitters have a positive effect on the body when taken during the treatment. Thanks for the explanation, Able. Like I said, I was getting indigestion with the bitters and water, so I guess I’ll avoid them for the meantime and try them out again later on. My stomach has improved somewhat recently, so hopefully I won’t have to wait long. The only way a capsule would work is if water could stimulate the vagus nerves, which it can’t, otherwise there would be no use in wasting money on the bitters; we could simply have a few sips of water. I’ve never even heard of the bitters being in a capsule form, and I can’t imagine why a company would market them in that form. In all honesty, they shouldn’t be referred to as ‘bitter’ since they will have no bitter effect whatsoever in a capsule. Opening the capsule and mixing the herbs in water may present the bitter taste and actually stimulate the nerves; in fact, one would imagine this would be the outcome. However, as I mentioned, I’ve never heard of a capsule form of bitters, so I’m only guessing. The only kind of Swedish Digestive Bitters I can find contains alcohol. I was told by the pharmacist that it must contain alcohol to preserve the herbs. Who am I to argue with her, she has nothing else to offer. I was happy I found them but now so bummed. Would this be one of the cases where the benefit outweigh the risk of feeding candida? The used amount is so small that it would not be hurting the treatment that much, or would it? I am hitting a a hard die-off no matter how careful I am with antifungals (not taking any of the supplements, just including foods such as raw garlic, rutabaga etc.) and I guess those slimy yucky… name calling probably is not allowed here… are hungry and dying. I hit days where I can’t get out of bed (like today for example) and ocular migraine (scary stuff, luckily I had it before and just wait for it to go away) and flu symptoms and, ouch, can die-off be tough. From what I understand Swedish Bitters also help flush the liver so it would help with the die-off, right? I still didn’t manage to get molybdenum so I am getting desperate here. Found thistle tea so will try some of that but I am hoping that Swedish Bitters would help as well even though they contain some alcohol. I’m so glad you added this. I’m quitting my current from this website and ‘Candida Cleanse’ package I was using which used psyllium husk and switching over to the protocol recommended here in the forum as you guys have more facts and info behind this one as well as the ongoing support and info and questions answered. So my new plan is to do the protocol. Use Swedish bitters. Use the vitamins recommended. Use the molybdenum and continue the milk thistle. Thank god I can now have eggs. Day 6 and feeling weakens a bit dizzy. Nauseous in the am and stomach generally ‘off’ making eating in the am hard at all. Molybdenum started last night thank god so hopefully an end in sight. 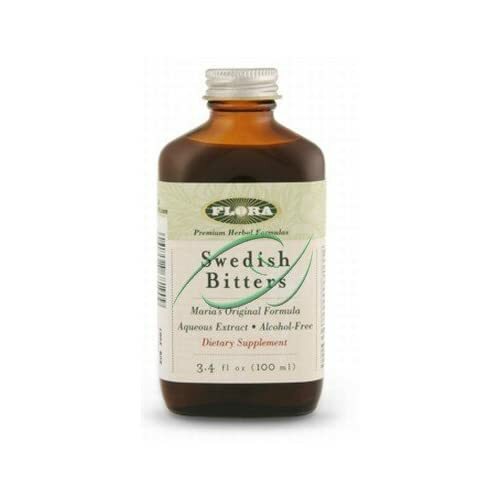 Here’s my Swedish bitters question: I have one made by ‘natureworks’ and it states water/alcohol extract of: and lists the ingredients. Does this mean it contains alcohol? Should I get a new one? Will have to order online so it’ll take a bit to get. Also you recommend half a dropperful. This recommends 2 teaspoonfuls. Is it equivalent? I’m oversees, in Bosnia (end of the world practically!) and the I found only one brand (Dr. Theiss, Germain company). It contains 15 herbs, but also it contains 36 vol% alcohol! I already tried to get Molybdenum shipped here, two weeks later still don’t have it (and not sure I will ever get it). I am so frustrated right now! And so ill! Water is not doing it anymore. Bath is out of the question until kids are off to bed! I really want to ease my die-off, but don’t want to feed the infestation after all the hard work put in to getting it out! Orca can you get Vitamin B6? Vitmain C? They’re meant to help. I don’t have molybdenum either but have found taking Vitamin C helpful. I take a hot bath at night (when kids are in bed) with epsom salts and in the morning I have a hot (as I can handle) shower. Going for a walk helps too. You poor thing, I’ve had ocular migraines often since my kids were born (although nothing while I’ve been on the diet, interestingly!) they aren’t fun at all. Hope you get some relief soon! Thank you Chilli for the advice and comforting words. Two-year-olds don’t make great shoulder to cry on and they get so nervous when I’m not well. I am taking c 1000mg twice daily and lemon water three times per day. I was taking B Complex which had B6 included but stopped after reading here that it was not necessary. I also take vitamin E, AD3 drops and biotin. I will go get some B6 tomorrow and try it. I have no idea what triggered such a massive die-off and after the initial two worst weeks on diet I had dealt with whatever die-off I had left over with lots of water, but today nothing helps. I have nausea, stomach pain, gas, dizziness, body pains, numbness… too many to name. Last week I was so happy and singing “It’s a wonderful world” as I’ve been feeling great and die-off seemed manageable, but since yesterday I’m back in hell.